If you follow me on social media then there is really no way that you missed my weekend trip to Gulf Shores and Orange Beach, Alabama, this weekend. In fact, sorry not sorry, for all the posts where I showed off my fantastic girls weekend with Keara. 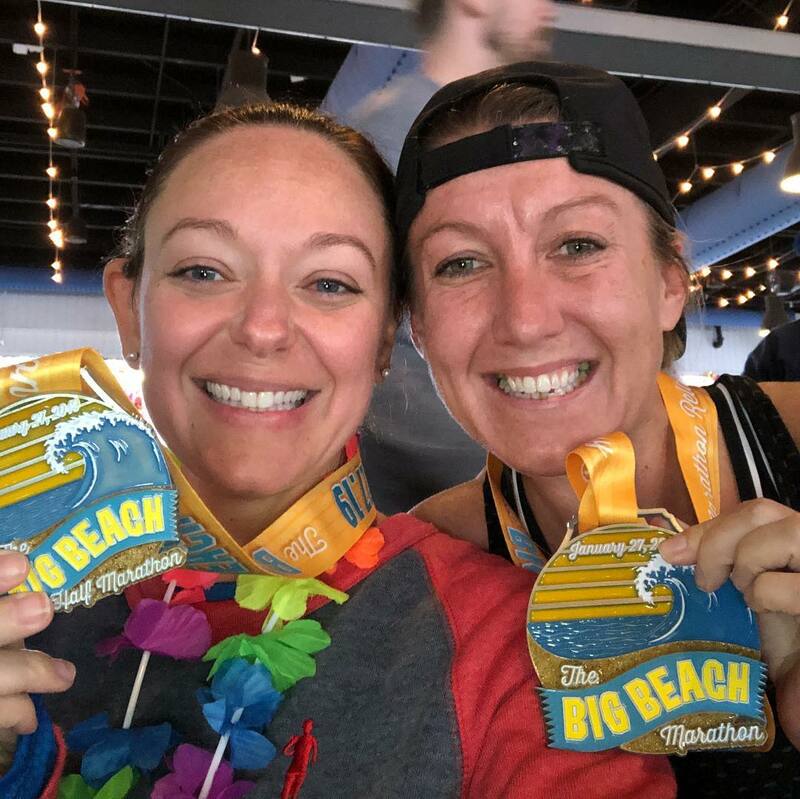 Thanks to the kind folks at Gulf Shores & Orange Beach Tourism, we were offered a sponsored trip to Gulf Shores to run the Big Beach Marathon. I ran the half, Keara ran the full. 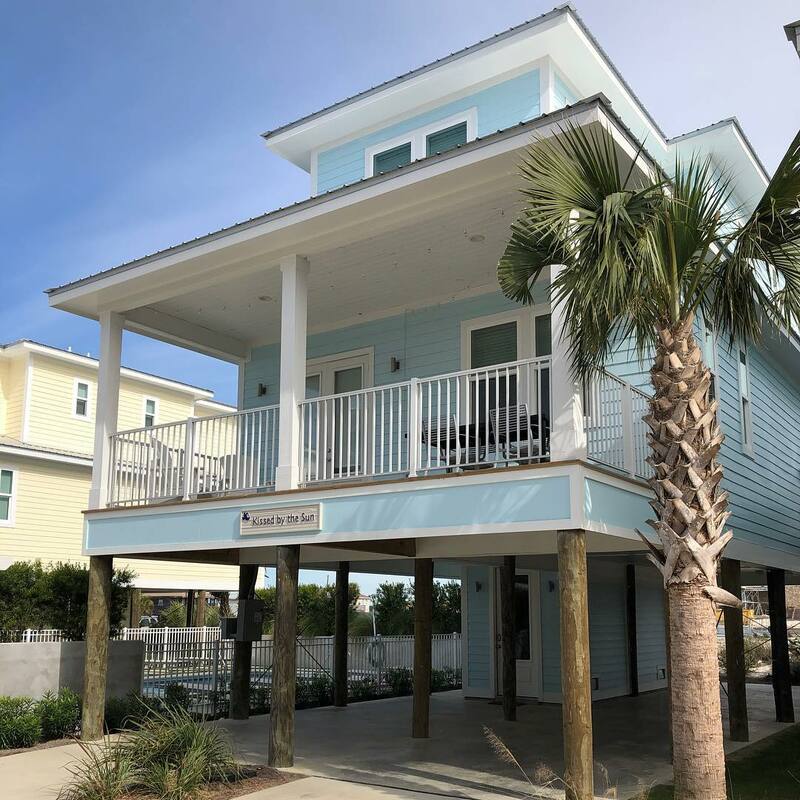 While we were in the gorgeous Gulf Shores & Orange Beach, we got to explore all of the wonderful food, activities, and nature that this lovely hidden gem has to offer. In case you don’t remember, I did the triathlon here back in 2016. I am super happy I got to return for a running event this year! The trails in this area are fantastic and supplied a perfect half marathon running course. In case you don’t know, Gulf Shores and Orange Beach is located on the northern Gulf of Mexico between Pensacola, FL, and Mobile, AL. You’ll find 32 miles of white sandy beach here, which is also quite gorgeous in the spring and summer! For our trip this time, we stayed in a Lucky Bird Vacations cottage, which was steps from the beach and so stinking’ cute! The photo I posted on instagram had someone asking if I redid my guest room! I wish I had – it was that adorable! Our cottage, Kissed by the Sun, was a three bedroom, three and a half bathroom. It had all the amenities and again, just across from the beach. 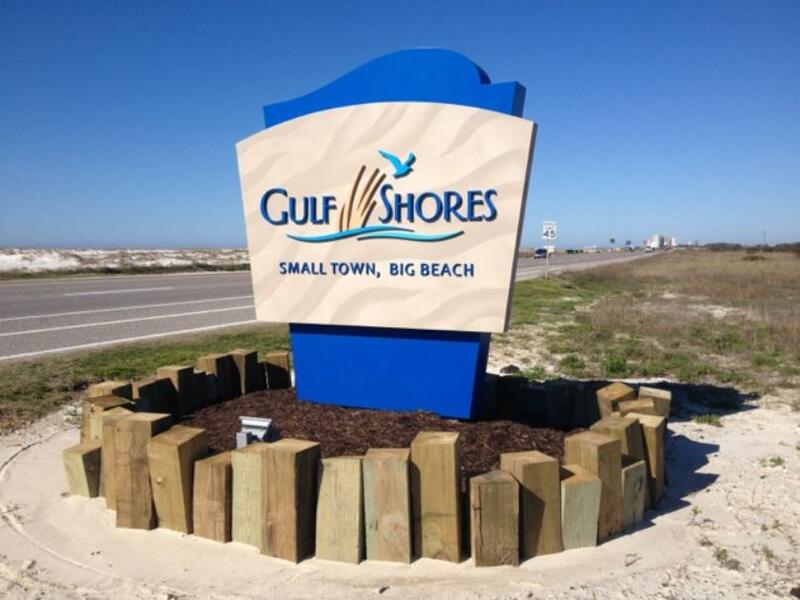 It’s also a perfect location to all there is to see and do in Gulf Shores & Orange Beach. The zoo has a ton of other animals and encounters. It’s also called “The Little Zoo that Could” due to the fact that it’s faced some hardships during hurricane season. But not to worry, it’s being moved to a larger plot of land to become even more awesome! 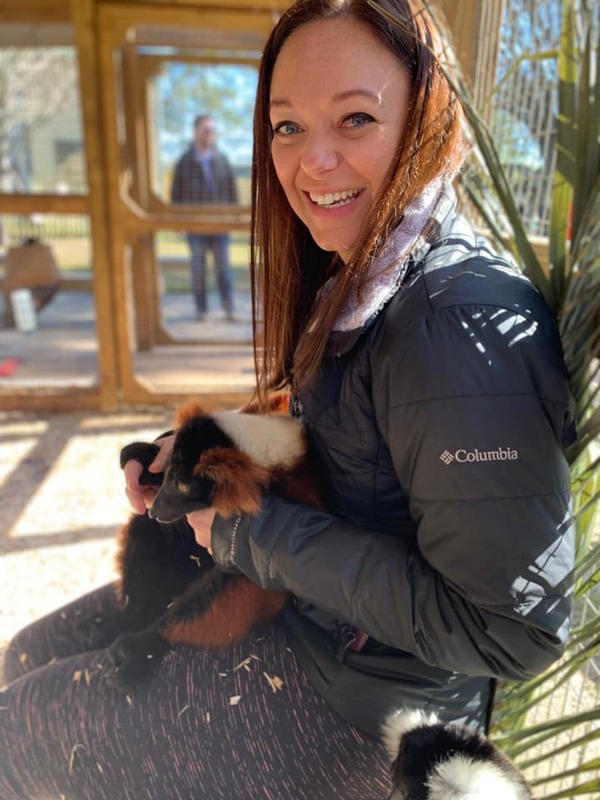 Please excuse my red eye and stare at the adorable lemur instead. With the zoo experience behind us, we headed to lunch at Picnic Beach. I stuffed my face with an acai bowl that rivaled the many I have enjoyed in Tampa. At Picnic Beach, what we began to notice more than how good all the food was, was that everyone was REALLY nice. They weren’t nice because they knew we were coming or anything, they were just nice everywhere! The gas station, the grocery store, the tourist shops, the zoo, etc – this is probably the most friendly place I’ve ever been! I mean, I think even unfriendly places, like I dunno, the DMV is probably friendly! By this point, we were definitely tired so we went back to the cozy warmth of the cottage for a quick nap. I woke up not having a clue where I was or why Keara was knocking on my door. I am pretty sure she got a first hand look of my morning stank face before I realized what the hell was going on. Sorry girl. You know what the best thing is for post nap grogginess? Yoga. I swear! 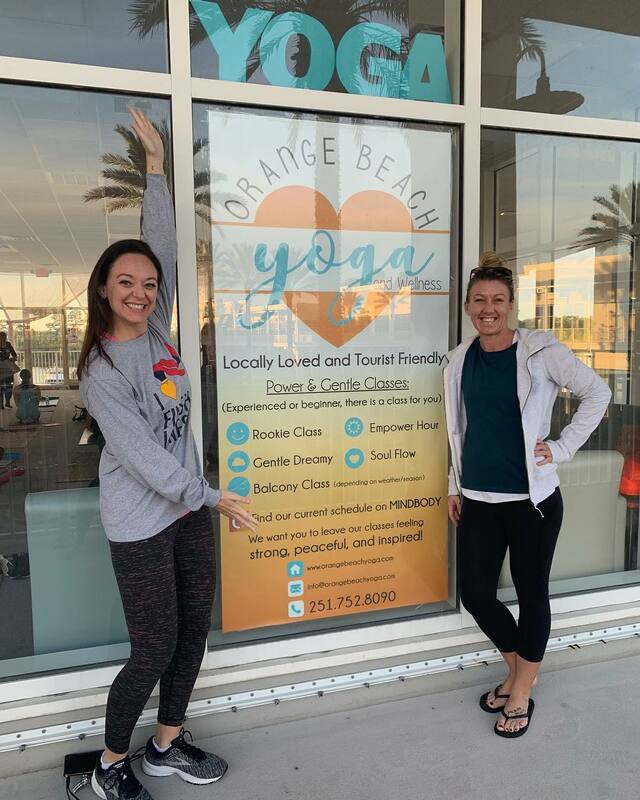 We headed to Orange Beach Yoga for a beginner’s class. Now, I am not truly a yoga beginner, but I felt like a refresher course would be a good idea. And I was right. As per usual. Ha! It was just what I needed after the previous day’s long car ride. I even learned some great modifications and was really happy that one of the instructors was not all Bendy Barbie. It made me feel less insecure about my own lack of flexibility. Oh, and guess what? They were super freaking nice. Saturday meant sleeping in and packet pick up/shake out run. We got to meet Jeff Galloway at packet pick up and run along some of the race course. The Big Beach Marathon course runs through the Gulf State Park so we did our shake out run there. After our shake out, we headed to Tacky Jack’s for breakfast. And – no surprise – the server was as nice as could be and our food was great. Two words: real grits! For the rest of the afternoon we headed to the beach for a walk and explored some of the tourist shops around town. I fell in love with a hermit crab I named Bat Crab but decided not to take him home. I thought Florence may get jealous and the big warning signs around the crabs pinching may have also given me pause. Heh. Ok, so here’s where things get interesting. Our itinerary for the weekend included dinner at the Flora-Bama Yacht Club. I thought, dinner at the Flora-Bama? Is that a thing? Apparently, it’s two things. 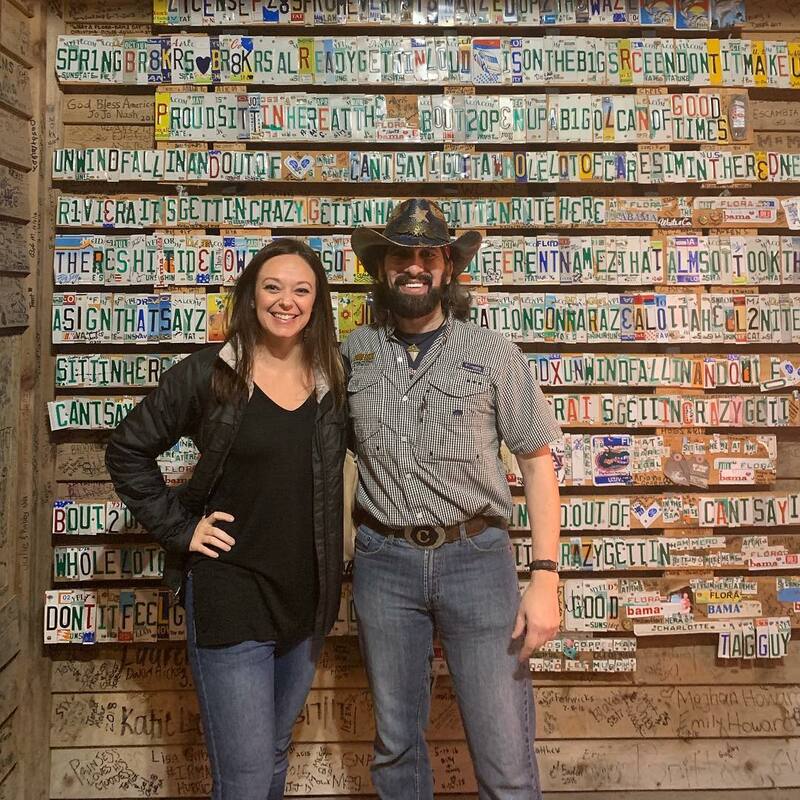 The Flora-Bama is a destination bar on the – you guessed it – Florida and Alabama state border. Since I am not much for staying up past 9 PM these days, I have never been, though I’ve heard lots of folks say it’s a must stop. I was skeptical. What the heck am I gonna get out of a bar the night before a half marathon? Boy! I was way wrong! Upon arrival, we stupidly walked into the Flora-Bama bar and were told the Flora-Bama Yacht Club was actually across the street. Oops. But! As with everything else in this community we were pleasantly surprised when the Flora-Bama cowboy host, named, Country, escorted us across the street. Talk about Southern hospitality! Country gave us a little bit of history while taking us across the street where we were promptly greeted and seated. The menu had a lot of great options for a pre race meal and I had the biggest piece of ahi tuna I’ve ever seen. I couldn’t even finish it. Me! Clean plate club queen was defeated by sushi grade tuna. Our excellent server even gave us samples of the famous drink known as the Bushwacker. Trust me when I say, I would have been hanging by the rafters if I had more than a sample of that bad boy! Our new BFF Country was waiting at the door when we arrived to greet patrons and he offered to give us a tour inside. We were shown the numerous bars and told all about the regular events held at the Flora-Bama, like mullet tossing and bingo. They even host church service on Sundays. It’s a one stop shop in that regard. Wink. Our night ended fairly early and we headed home for pre-race water chugging and sleep! The weekend was such a whirlwind and I wasn’t racing for any specific time so it was nice to feel relaxed the night before and morning of the race. Again, Gulf Shores & Orange Beach has outdone itself! This destination is perfect for an active vacation…or just a vacation where you wanna get real toasty on bushwackers on lie on the beach! I plan to return with the S.O. and have spend $100 on lemur and sloth encounters. I also want to go back to the Flora-Bama and order the meals I would eat when I wasn’t running a half marathon the next day. Ha! Special thanks to the people of Gulf Shores and Orange Beach. You all are some of the nicest folks I think I will ever meet! I can’t wait to return.